The day news broke in football circles that Michael Weiss, erstwhile coach of the Philippine National Football team – a.k.a. the Azkals – was relieved of his duties, footballdom in this corner of the Pacific was abuzz with the most obvious of questions. Who would take his place? And the Philippine Football Federation, as is the way things are done in football, was remarkably tight-lipped about the issue. Several candidates were being considered, was all that the federation was prepared to say. So followers of the national team, fed with mere orts from the dinner table, had no recourse but to engage in what in Britain is called the ‘silly season.’ Speculation, of course, is one of those that make football such a lovely game to follow. One of the candidates, it was floated in football circles, was formerly with Barcelona and played in two World Cups. De Boer? Reality check! Probably a tad expensive. Well done, then to the Philippine Football Federation! Nobody really has a crystal ball in football; but as long as there is honest hard work and correct decisions are made, everything in variably starts to fall into place. Former Singapore coach Radojko Avramović was also rumoured to be one of those being considered. The Serbian’s record in Southeast Asia is impeccable; and, indeed, three titles in the Suzuki Cup is no small matter. However, his counterattacking style, while it may be to the benefit of our current crop of international players, is also criminally dull to watch. For all their successes in Southeast Asia, Avramović’s Singapore also failed to make any real impact outside the region. This afternoon, Azkals management finally put an end to the speculation by announcing that former United States international Thomas Dooley will be the new Azkals coach. Probably not the glamour European coach who would really have raised the Azkals’ profile in the international game; but, nonetheless, also probably the right coach for the team. Dooley, 52, was born in Germany to an American father and a German mother but represented the United States internationally. He played club football in the Bündesliga for giant German sides like Kaiserslautern, Bayer Leverkusen and Schalke 04. He wound up his playing career at the Major League Soccer of the United States. 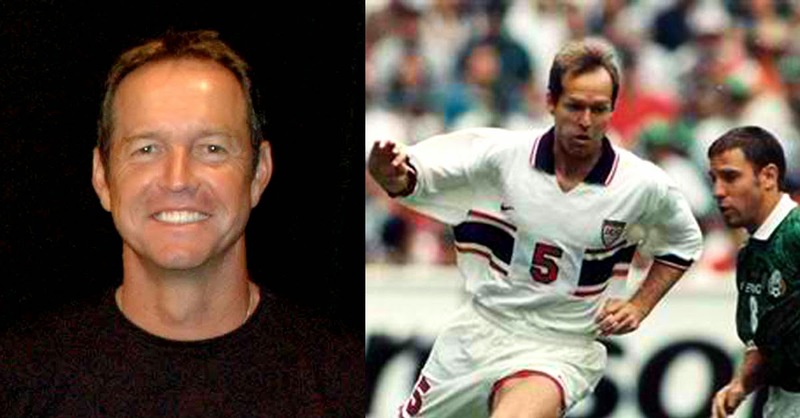 Dooley also captained the United States and played in the World Cups of 1994 in the United Sates and 1998 in France. Apart from playing at the highest level, something that Weiss could not claim, Dooley is probably the best suited coach for the Philippine Azkals for several reasons. First, the United States national teams of his generation – as it still continues to be in the present day – was made up of expatriate Americans, naturalised Americans and top players with at least one American parent. Players flew in from all over the globe for international matches. Dooley himself was not given American citizenship until 1992, in time for the 1994 World Cup. Thus, he will immediately understand the dynamics of the current Philippine national team from personal experience. Because football in the United States is not among the most popular sports, a scenario similar to the Philippines, Dooley will understand the value of youth development and the involvement of home-grown players for long-term success. The latter, in particular, was something that Weiss, perhaps, was a tad reluctant to do. Finally, Dooley brings with him personal experience of international football at the highest level; and will be able to impart knowledge from a personal perspective. One cannot give, it is said, what one does not have. In this regard, Dooley has plenty. Well done, then to the Philippine Football Federation! Nobody really has a crystal ball in football; but as long as there is honest hard work and correct decisions are made, everything invariably starts to fall into place. Hopefully, Dooley will be the one to take the football of this nation into the next level because on the face of it, he appears to be the right choice. Acknowledgment: Photos of Thomas Dooley from http://www.insidemnsoccer.com and http://www.ussoccer.com.